Did you know that replacing your old factory speakers is the first step towards getting a better sound system? Yes, any car enthusiast or even a regular motorists will tell you that. 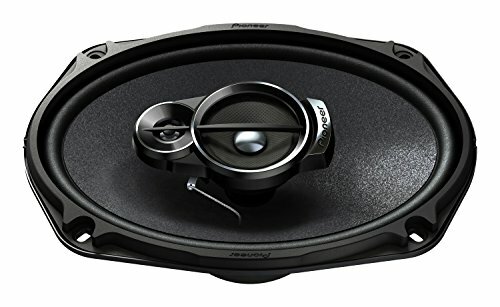 Pioneer TS-A6966R 6"x9" speakers are designed with innovative technologies and great materials that will upgrade your car sound system to a higher level. These speaker produce realistic, powerful and clear sound that surpass your expectations. They deliver amazing amount of base and clear treble that gives the listener that feeling of being enveloped of being pumped into a Friday night party. Pioneer A-Series speakers are made to transform the ordinary car listening experience into a more extra-ordinary one. They’ve been crafted with the latest technology to cater for those yearning for exceptional audio reproduction, thanks to their powerful solid construction. They are recommended for anyone who want to operate his/her vehicle’s sound system with or without an amplifier. Pioneer TS-A6966R are 3-way speakers with great power handling and crisps clear highs. Pioneer came up with the industry’s first fiber designed from purely natural rock and combined with aramid fiber to create the A-series speakers. Aramid/Basalt Fiber material is used in the surface layer and is extremely rigid and is a better absorbent thus enhances and maintains the speaker’s integrity through a wide temperature range. Each speaker features a cone with a highly rigid fiber that helps in stabilizing the sound waves coming through the speakers to give you that fantastic listening experience. The high-tech composite material featuring basalt and aramid provides a lightweight but rigid designing to the speaker cones. The design is responsible for a solid mid﻿-bass punch and an exceptional mid-range definition while the rubber surrounding provides a smooth cone excursion. 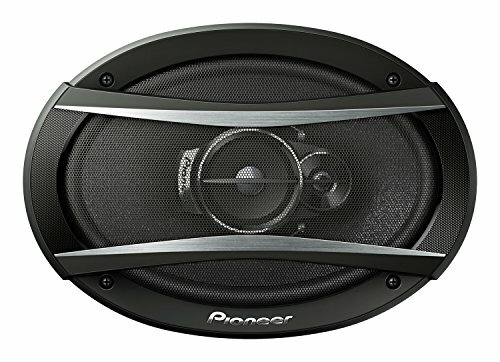 Pioneer TS-A6966R adopts arching wave guides as well as V-shaped tweeter diaphragm. The over-sized soft dome tweeters emits impressive highs by the aid of special wave guides which improves the speaker’s off-axis performance. These controls sound dispersion ensuring that the sound stage is wider throughout your vehicle thus ensuring that you together with your passengers enjoys similar great sound. The car speakers are designed in such a way that allows for control of sound dispersion. This means that sounds waves are emitted in a wider area covering the whole car with the same sound intensity.TS-A Series speakers provides smooth and octave-to-octave balance without one frequency being favored over the other. The lows, mids and highs are presented to perfection. Pioneer TS-A6966R 3-way speakers, just like other A-series units comes with an exclusive rear chamber tweeter enclosure that first featured in the framed PRS speakers. The enclosures extends mid-range frequencies hence improving vocal imaging and staging. The sealed rear chamber enables the tweeter to reach into lower mid-range hence improving the definition of instruments and vocals. The tweeter has powerful and compact neodymium magnet which offers elegant performance even when you crank the power levels. These A-series pioneer speakers feature built-in -12dB/Octave HPF and LPF crossover which boosts the transition from mid to high frequency levels and for a smoother mid﻿﻿-range to tweeter response. Inductors and audiophile-grade capacitors are all Stamped metal basket and encased in a clear acrylic cover to ensure maximum protection. The woofer cone is supported by an extra-thick stamped metal basket. This dampens the vibrations and resonances produced by the woofer thus unduly coloring your car’s music natural sound. Do I need to connect an amp for these speakers? You don’t necessarily need an amplifier for the speakers. However, you’ll get better sound quality if you connect them to an amplified car sound system. Can I purchase the speakers a single unit? No, the speakers are sold in pairs of two pieces and you can buy them from online stores or physical stores. How would you rate the performance of Pioneer TS-A6966R 6"x9 speakers? I would give them 8 out of 10 rating because of their proper tuning and amplification. The sound you get from these babies’ is just awesome. Incredible sound performance. Yes, that’s exactly what you get from Pioneer's D series speakers. These speaker series are offered in 3-way coaxial designs and 3-way component packages that fits most cars. Thanks to their revolutionary design that allows you to enjoy great music without having to pay the high prices. These speakers accurately captures the magic that comes about with an artist’s live performance. When used for outdoor entertainment, the speaker offers true open smooth transitions and stage imaging that reproduces the illusion of a live stage performance. This enhances the music surround audio system as the sound instruments are arranged with the feel of width, height and depth in a way that matches their location on the illusionary stage. The speakers gives a great low bass even without a sub-woofer though the tweeter seems quite small than other units within this segment. Pioneers top of the line 6x9 speaker delivers crystal clear highs with low-end base touches. With the world's first basalt fiber/aramid cones combined with high quality crossovers, Pioneer TS-A6966R 6"x9" two-way speakers last for longer durations. They offer a peak power of 420 watts whether you’re using them for your car’s navigation system, audio system or the CD player. Reading about Rockford R168X2 might also help you choosing the best one.